Scotiabank and Canadian Immigrant magazine are presenting their 4th Settlement, Education and Career Fair in Vancouver for newcomers to Canada. The day-long immigrant expo is free and will take place on 16th December, from 11 AM to 7 PM at Vancouver Public Library. Thousands of immigrants arrive in Metro Vancouver every year with high ambitions for the future of their families. 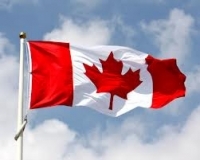 However, many of them go through a culture shock regarding the realities of living in Canada—from ongoing education to procuring employment to settling into the day-to-day life. The fair aims to educate and motivate immigrants to Canada as they start and continue their settlement journey. It also provides essential tips and information on upgrading of education, accreditation, settling in, job hunting and more. Canadian Immigrant’s publisher, Gautam Sharma says that with a 3-forked approach of education, careers and settlement, the fair pours life into their mission of providing resources for new Canadians to succeed. Different exhibitor booths will be stationed in the main promenade, lower-level and open, rooms of the venue, providing information about employers/careers, settlement resources, colleges and training. Apart from that, many interactive speakers’ workshops will be led by experts in different fields of interest to new Canadians. A keynote address on ‘Eight key steps to getting hired’ will be offered by the Former Richmond Review Columnist, Former Reporter and Diversity Expert, Gobinder Gill. An interactive workshop on accent reduction will be conducted by expert Andy Krieger. Other speakers will present discussions on finances in Canada, job search strategies, foreign credentials and more.